We asked Johan Edstrom, one of our most prolific forum members, to issue last week’s Culinary Challenge 6 on the ChefSteps forum. The objective was to cook something that your grandmother would have cooked and give it an update. Use new tools and techniques, juxtapose something old with something new, or simply plate your grandmother’s cooking in a contemporary way. Johan, Chris and Grant each picked their favorite dish to feature on our Pinterest board. 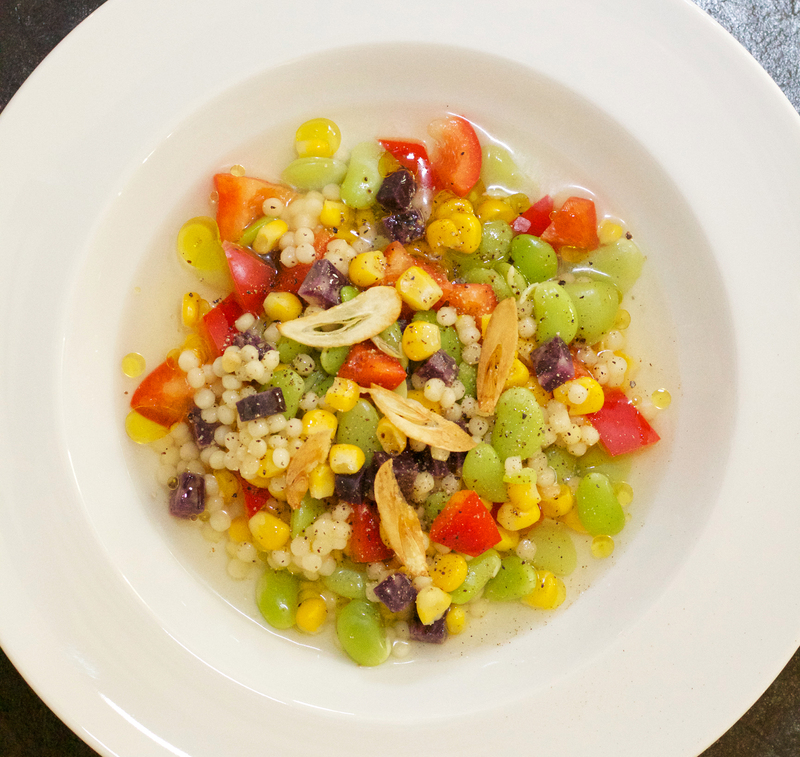 Johan Edstrom: My favorite entry this week was Chris Koller’s Succotash. I liked the plate, the colors, and I wanted to eat it right away. Chris Young: I chose Joshua Sharp’s modernist take on Salisbury Steak. It was a great nostalgic food idea, and it looks well executed. Grant Crilly: My fave was Brian Douglas’ Better than Nintendo Cake. I cracked up at the story of the “Better than Nintendo Cake” name and it’s something that I haven’t seen before. If you’re new to the forum and you haven’t participated in one of the culinary challenges, please join in this week. We’re eager to see your creations and so are your fellow forum members! Grant has posted Culinary Challenge 7 on the ChefSteps forum. This week’s challenge is Something Coffee. Prepare a dish — savory or sweet — utilizing sous vide techniques and coffee. For example, consider using coffee for an infusion, broth, rub, smoking media, or a textural component. Your idea can be coffee anything! The top 3 picks (sometimes we have a tie) will have the photos of their dishes posted on the ChefSteps Pinterest board. Please have your entry posted by Sunday. We’re looking forward to being heavily caffeinated (as usual) while we enjoy your entries.